Wow, I have gone fly fishing a lot this year already. My typical day has been: get up at 6am or earlier, crank emails and important action items, then fish from 8-11, and finally back to work until 6. It's been busy, but very refreshing. Lots of people came up to fish this year, including a few employees and even a client. It's been a blast. Here are the business lessons I have learned from the river this year. I was lucky enough to get invited on a seven day 100+ mile river float last week. 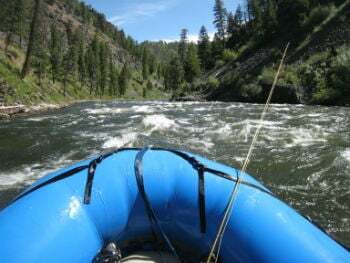 I've only floated the middle fork of the Salmon once before in my life. It's one of those trips that is tough to come by so when you get the opportunity you hop on it. 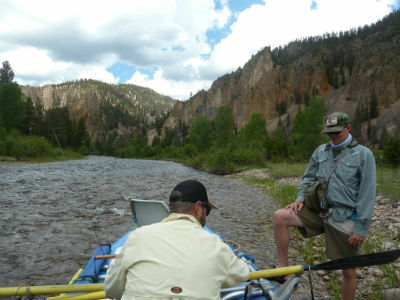 If you ever float any part of the Salmon River I would recommend checking out Sawtooth Adventure Company. I didn't use Sawtooth this time because I was on a private trip with some other people. When you are floating over a hundred miles you have a lot of time to think. Additionally things come up both positive and negative. The entire trip is a great experience, but it is also full of lessons for your small business.